This campaign is different from previous movie tie-ins on Waze because it's a fuller 'character experience,' says Brand Partnerships head Jordan Grossman. Waze is helping Disney Pixar drive interest in its upcoming Cars 3 theatrical release by adding movie character voices and images within its navigation app. 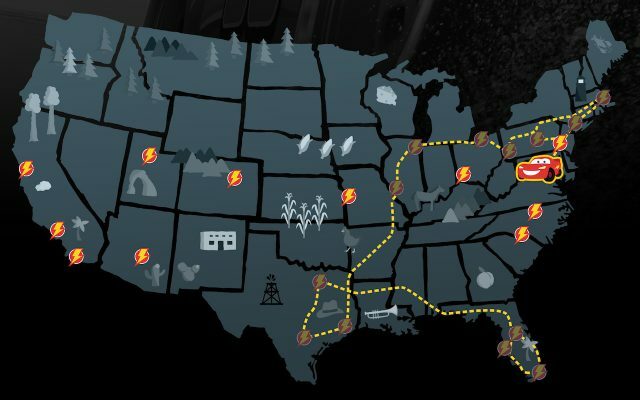 For the first time, U.S. Waze users can change the image representing their cars on the app to Lightning McQueen (voiced by Owen Wilson) or Jackson Storm (Armie Hammer) from the movie. Disney is the first brand to work with Waze in in letting users change the face of their cars to movie characters, though it previously allowed Wazers to feature the flag of their country during last summer’s OIympics. We connected with Jordan Grossman, head of brand partnerships at Waze, on how this integration with Cars 3 advances the crowd-sourced traffic app’s value for brands and its users. GeoMarketing: How is this effort different from other celebrity-related voices for Waze directions and other use of brand images? 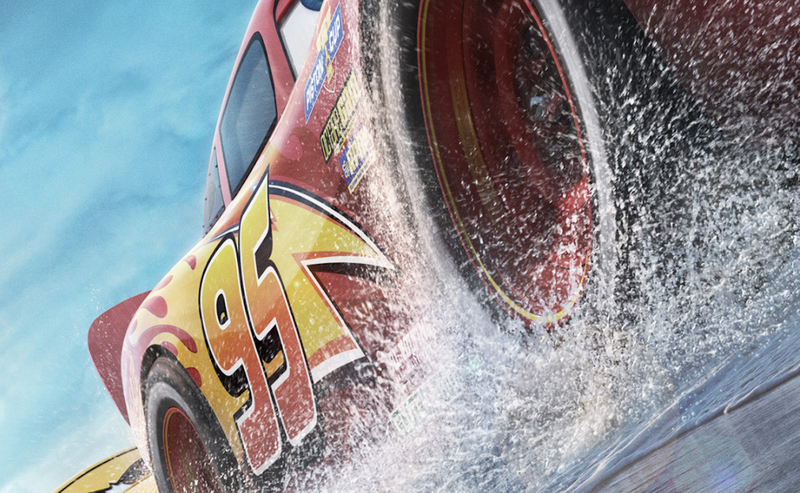 Jordan Grossman: Disney Pixar’s Cars 3 is different from our other voice prompts because it’s a character experience – you’re not just opting into the voice, but into the car itself. Every voice prompt on Waze is customized, making each one a unique experience interacting with a brand. In this case, Disney incorporated catch phrases from the movie by their main characters. The goal of this campaign is to drive engagement and create a fun branded experience for drivers. 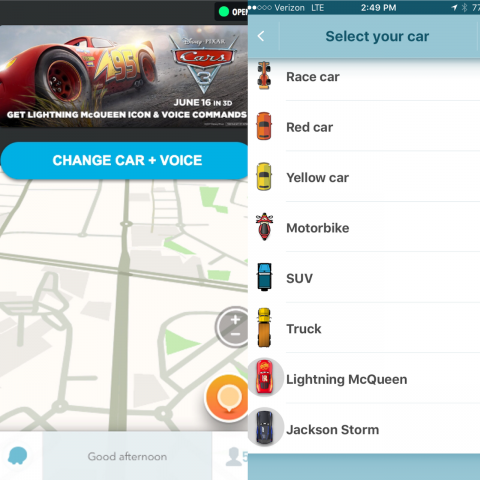 It gives Wazers an opportunity to get to know the new character, Jackson Storm, or drive with an old favorite, Lightning McQueen. Are there any opportunities for cross-marketing promotions through this Disney program? Not for this partnership but certainly something we’re considering for future ones. Is there anything specific within this effort designed to drive ticket sales to movie theaters when Cars 3 is released in June?